Happy Sunday! I had such a great weekend filled with cake and good food surrounded by the people that I love. 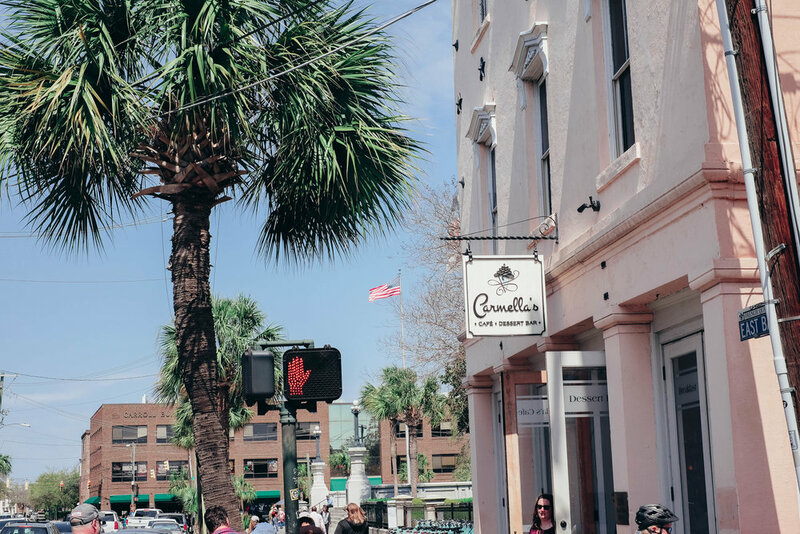 As my birthday weekend comes to a close, I wanted to continue the “my favorite things” series by rounding up some of my favorite coffee shops here in Charleston. If you know me, you know I need and love my coffee. The coffee shops here in Charleston are some of the cutest and tastiest! Each shop has their own vibe and aesthetic that I love so let’s get to it! All of my Greenville peeps, take note for your next trip to Charleston! Carmella’s is my favorite place to go for a hot cup of coffee and a dessert on the side! They have everything from coffee and cakes to smoothies and shakes! 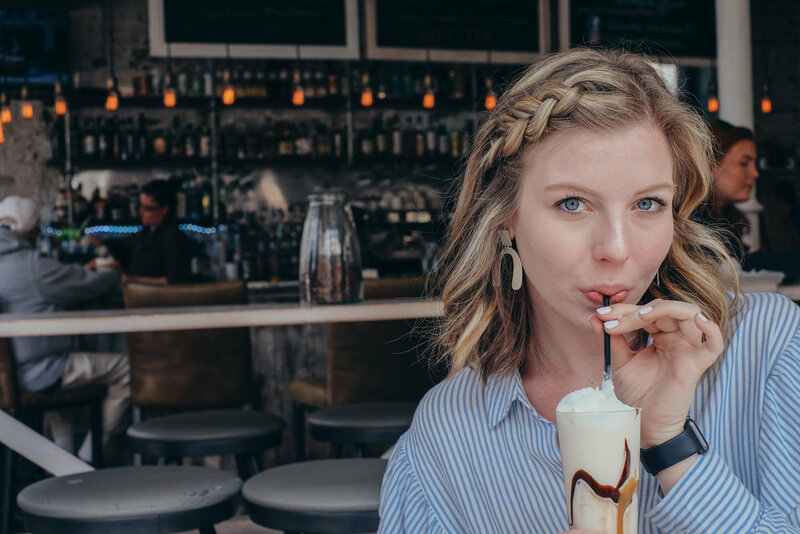 This dessert bar is located on the corner of East Bay and Cumberland street and it is so cute with a vintage but modern feel! 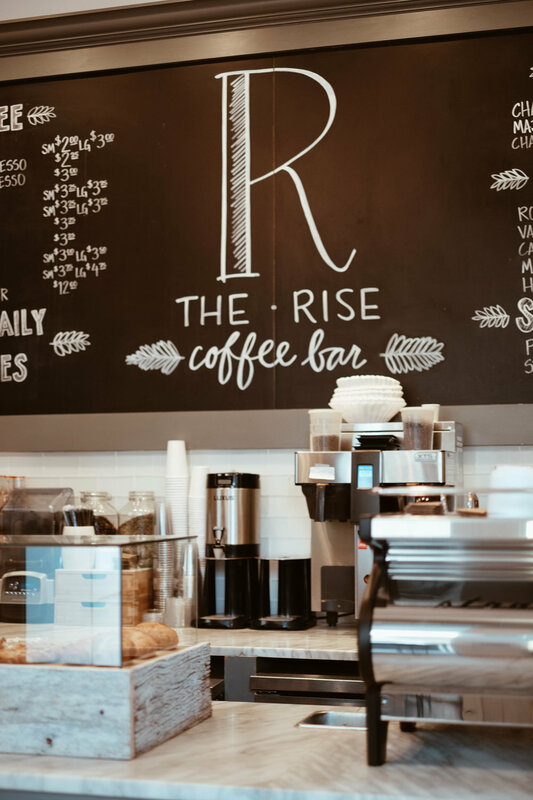 I love to come here for a late night coffee and dessert after a dinner downtown or after lunch for a quick pick-me-up before shopping King Street! Here, I have the Caramel Mudslide and an Americano. The Rise is connected to The Restoration hotel on Wentworth street! This is right off the side of King Street which makes it a great and convenient place to stop for a break from all the hustle and bustle of the shopping and crowds in the center of downtown. This is my favorite coffee bar for a pastry and a caramel macchiato! The ladies here are so nice and have my order memorized after all the early morning coffee stops before work! Skinny Dip is a super cute clothing store on King Street that has a bar and coffee shop upstairs! They have macaroons and doughnuts and other snacks depending on the day! This rosé doughnut was PERFECT paired with this caramel flavored iced coffee (can you tell what my favorite coffee flavor is lol) but they are also known for their frosé (frozen rosé)! Skinny Dip recently opened a new co-working space where locals can rent to create and build businesses, allowing entrepreneurs and creatives to connect with other like minded individuals. Greenville peeps, next time you’re in Charleston make sure you visit one of these great coffee shops! They are the best and I know you won’t be disappointed.